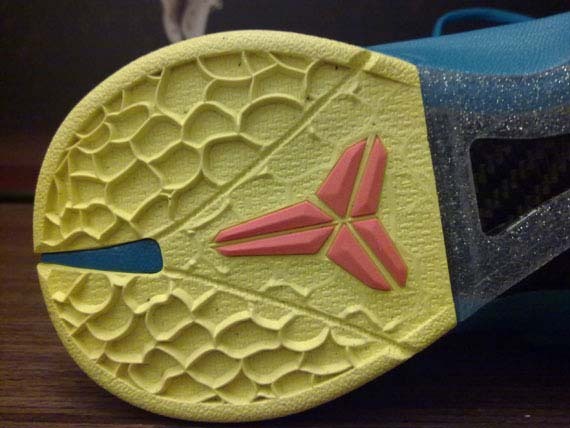 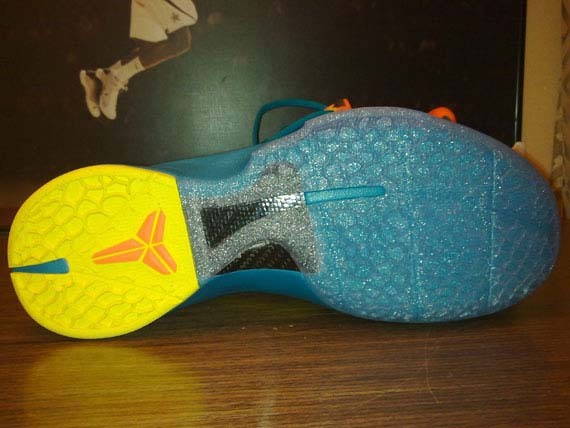 Closer Look: Nike Zoom Kobe VI - "Glass Blue"
Closer look at another colorway of the Nike Zoom Kobe VI that is guaranteed to stir up a ton of hype yet again. 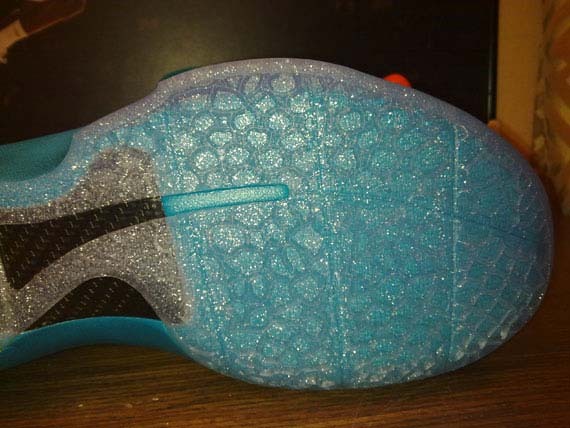 Reminding us that there is colorways releasing other than the Christmas edition of the Zoom Kobe VI, we bring you yet another detailed look at the upcoming "Glass Blue" make up. 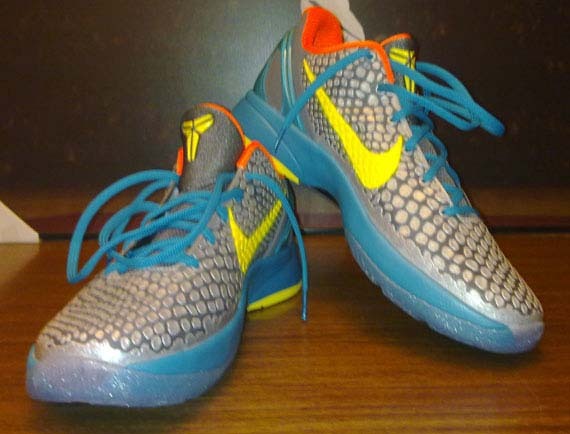 A must have on most people's lists, this latest release of the Zoom Kobe VI arrives to us in a colorway never used on a Kobe shoe. 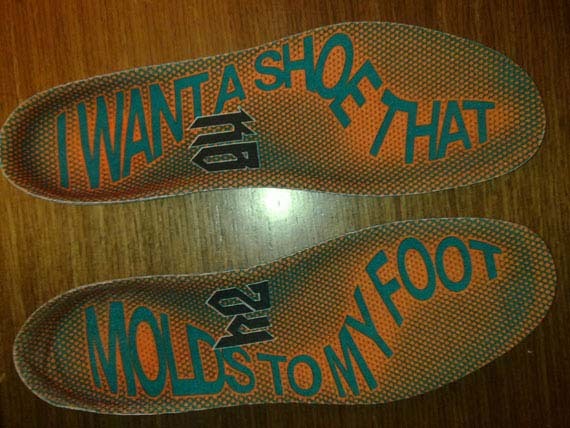 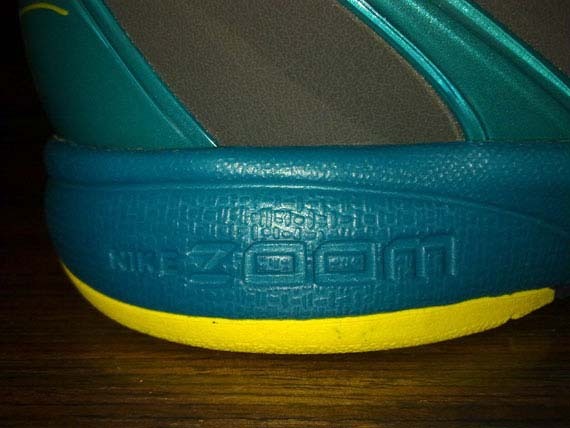 Most of the textured upper is covered in a metallic silver, with a hit of vibrant yellow on the Swoosh and Shozoku logo. 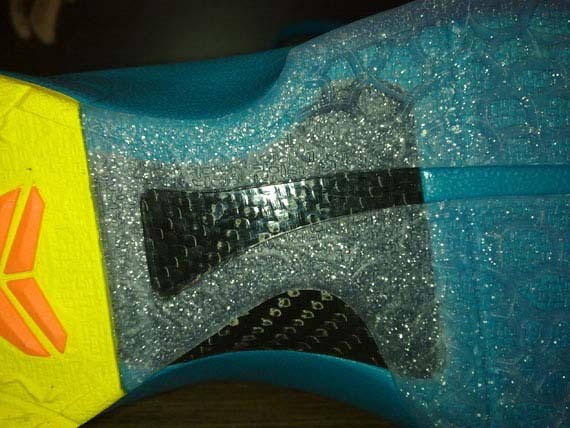 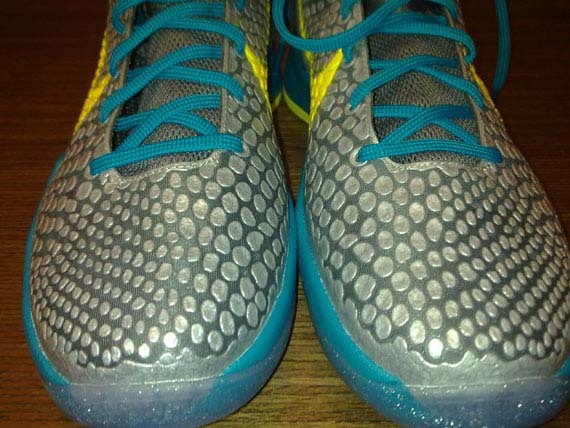 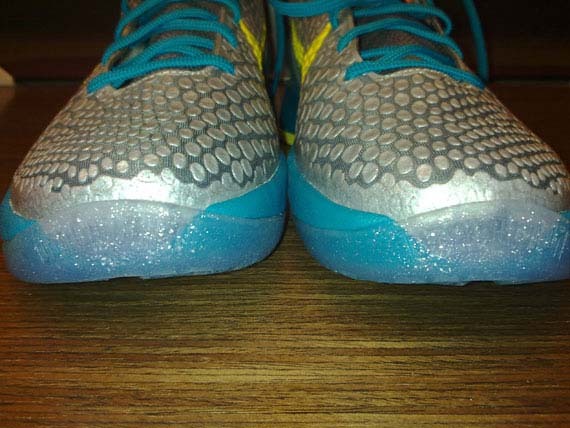 Glass blue takes over the look on the laces, as well as the heel counter and midsole. 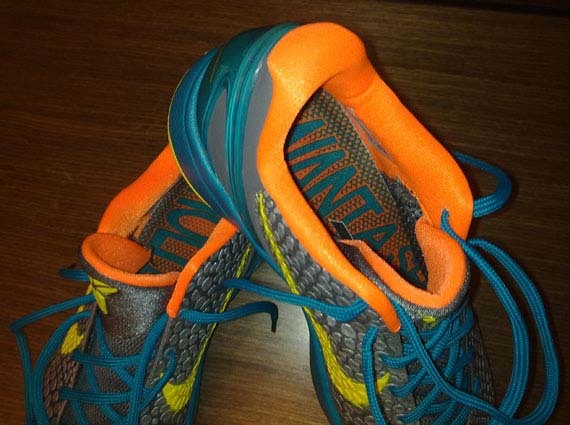 Additionally orange makes a lone appearance on the inner lining. 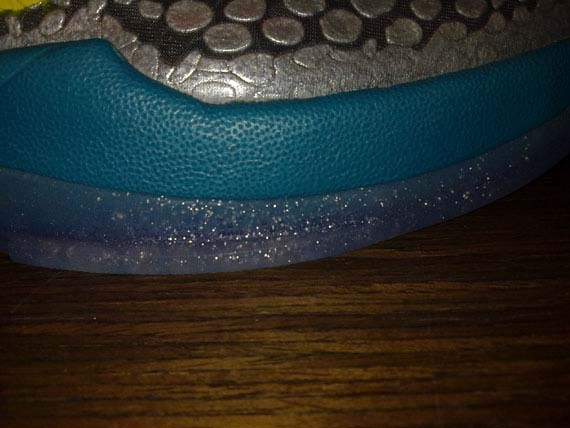 No word on an official release just yet, stay tuned to Sole Collector for the latest.